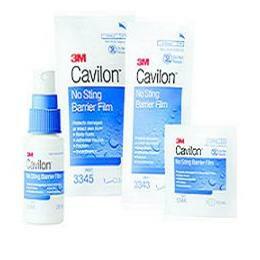 A fast-drying, non-sticky, alcohol-free liquid barrier film that forms a breathable, transparent coating on the skin. Protects damaged or intact skin from body fluids, adhesive trauma, friction, and incontinence. The film is hypoallergenic, non-cytotoxic and will not sting even when applied to damaged or denuded skin.